Live trees that have been cut are a useful material for composting. Composting requires a carbon source and Christmas trees are just right for municipal operations which use chippers to shred the material. Look for tree drop-off locations in your neighborhood. Many communities also have free chipping services for trees. This is useful since the chips are used as mulch for municipal landscaping or sold at low cost to gardeners. This chipped material makes an excellent mulch for your shrub beds and garden pathways. If the Food Labeling Modernization Act of 2013 becomes law, we as consumers are in for some significant changes to food packaging. The bill aims to eliminate some of the deceptive practices that dupe consumers into choosing unhealthy foods that are disguised as healthy options. The most significant change is that nutrition labels would move from the back of the package to a standard label on the front of the package. Another change is that words like “natural” and “healthy” would have to meet certain dietary guidelines. The bill would also require other modifications, ranging from disclosure of caffeine content to a revision of portion sizes to reflect the amount of food we typically eat, which might lead to some interesting changes. I think this would be a great change for consumers but I wonder if it has enough political support. Only time will tell. Just when I thought I had seen it all…this post is from CNN. Would you really want all this technology sitting on your head? 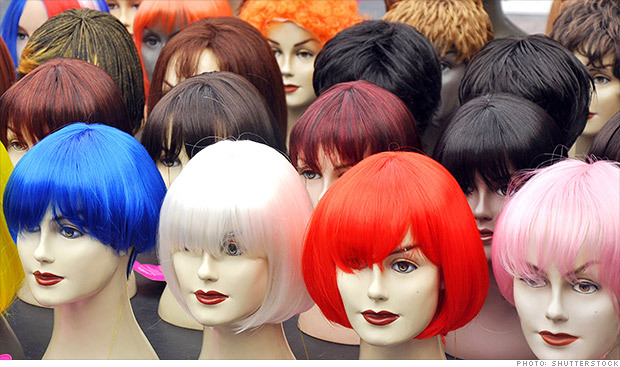 The Japanese electronics company (Sony) has filed a U.S. patent for a “SmartWig,” which will use sensors to detect everything from blood pressure to brain waves. The wearable wig could also be used in a number of practical ways, such as helping blind people navigate without any extra assistance, said Sony in its filing. It could also come in handy for the gaming industry especially for virtual reality fans, and could be hooked up to Wi-Fi Bluetooth and radio transceivers, according to the patent application. As the cost of solar power decreases, many big companies are using often overlooked roof space to produce electricity. With 89 megawatts Walmart leads the pack, this wattage has more solar capacity than the bottom 38 states in the U.S. including Puerto Rico and the District of Columbia! Where do your favorite companies rank on this list?